When I was younger, I loved comics. 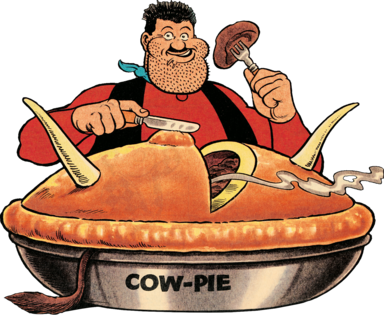 My publication of choice – indeed my obsession – was Marvel’s Transformers, but I also enjoyed such fabulously British output as The Beano, Whizzer and Chips, and if I was feeling particularly charitable, The Dandy. It’s funny because he’s supposed to be American. I had boxes and boxes of comics under my bed, and would grab a handful to read each night before going to sleep. There was something quite special about British comics, especially from Marvel. They blew the American ones right out of the water. These days, it’s different. There isn’t a comics industry in the UK anymore. 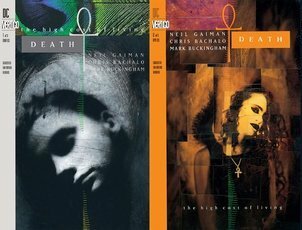 Comics shriveled up and died, and so did my interest and passion for reading them. When Transformers came back in 2002 from Dreamwave, my interest was briefly piqued, but after some abysmal work by IDW a few years later, I pretty much forgot about comics altogether. Well, at least they brush their teeth. It’s the only part of them not full of holes. I was vaguely aware of the MLP phenomenon, and viewed it with only a detached amusement. But the cover for this comic was strikingly different to what one might expect. Instead of cute, fluffy ponies, it had fanged monsters in black-and-neon livery. At their head was an emerald-eyed demon with funny peacock-like antennae (*ahem* – turns out it’s a crown). I was intrigued, so I opened the issue. And lo, the scales fell from my eyes. And I was saved. You will weep for the huggy catty things. The art inside was incredible! It was by Andy Price, who I’d never heard of at the time. I’d assumed the comic would closely mimic the cartoon show, if not screencap it outright. But what I found inside was nothing of the sort. It looked like a proper comic. The kind of which I grew up reading. Comic illustration is an art form, and it’s a dying one. In the last decade or two we’ve seen comic art get ever more complicated, elaborate and lifelike. But it’s lost its soul. We have artwork that is technically very accomplished, and imitates life superbly, but has no life of its own. However, Andy Price is different. The man is some kind of comic genius from another world. 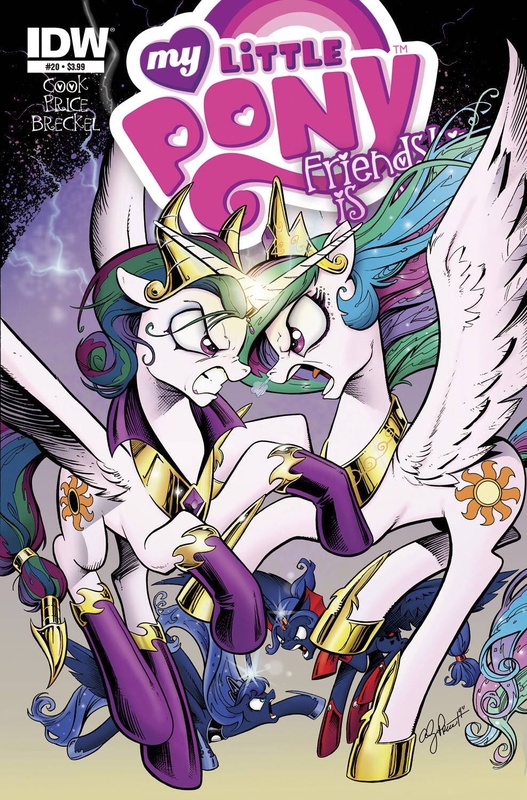 Opening up that My Little Pony issue was like pouring water on the rose of Jericho; I was in love with comics again. Ah, the ol’ coin-behind-the-ear bit. Never fails. In stark contrast to the clean, unchanging digital artwork of the MLP cartoon, Price’s ponies are wonderfully soft and expressive. They radiate personality and emotion, and are forever twisting and gurning their faces and bodies into ever more grotesque forms. Panel after panel, he finds something different to do with the characters, working – I assume – outside of the given script. Popular in Finland, is Andy. He plays with the format, too. Borders blur and merge organically together. Characters and scenery intrude between adjacent panels and pages, and even simple lettering, usually left to the digital guys, becomes part of the artwork and helps tie the stories together. Most of Andy’s comics are graced with one or more splash pages that stand out as being particularly dramatic, funny or emotional. I actually cut one out and framed it on my wall. Andy makes reading comics fun again; each issue is filled with little jokes and asides, hidden away in the artwork. You’ll find yourself scouring each new page to seek them out. Sometimes it’s less like reading a comic and more like reading Where’s Wally (or Where’s Waldo if you’re from Americaland). 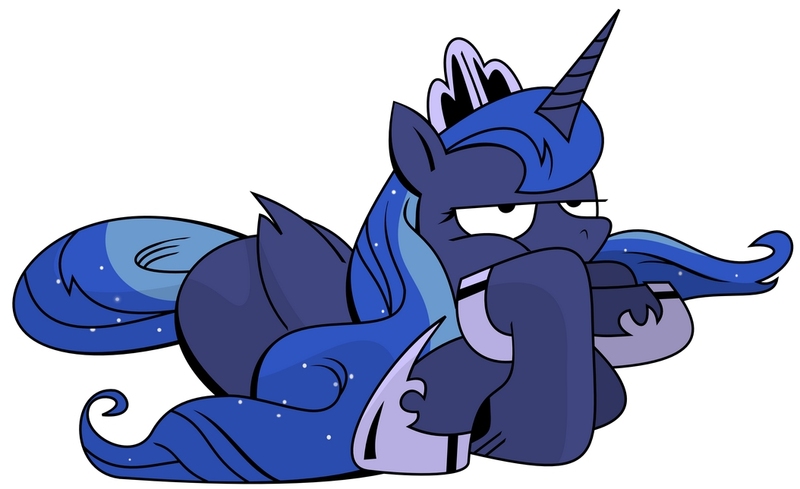 Certain characters, such as the mysterious night mare Princess Luna, shine above the cartoon versions that are supposed to have inspired them and stand alone to become beloved favourites. 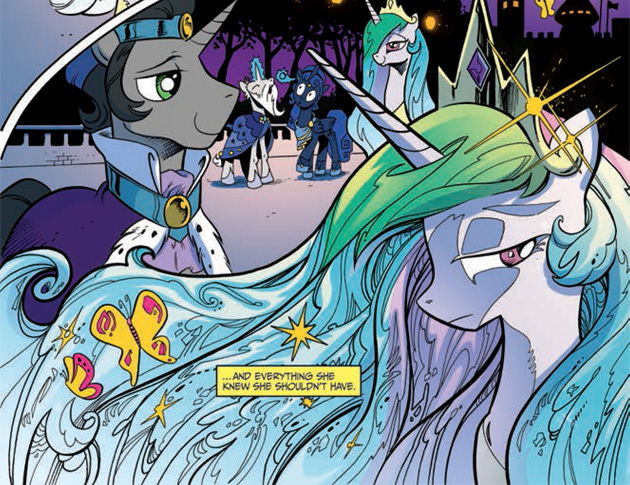 I privately mocked My Little Pony at first, but looking back I’m happy to have been proven wrong. Since then, I’ve become rather infatuated with it… I think this shows that you should never knock something until you’ve tried it, and in the right hands things that sound a bit naff can be turned into something truly great. 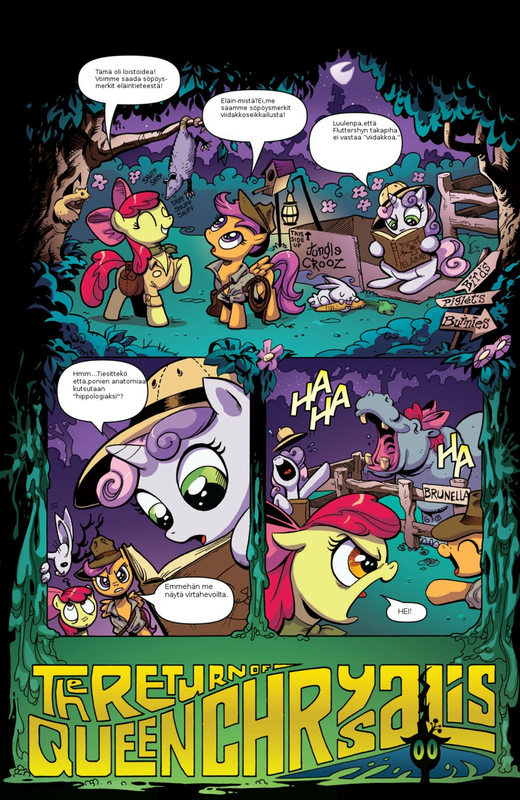 To sum up – if you’re a fan of MLP, you need to read these comics. 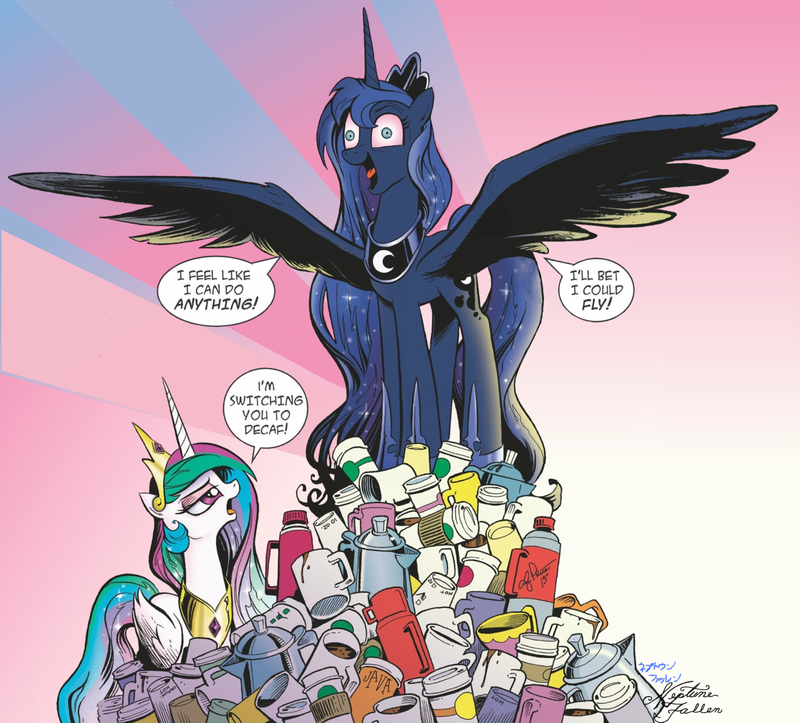 If you’re not a fan of MLP, you still need to read these comics. 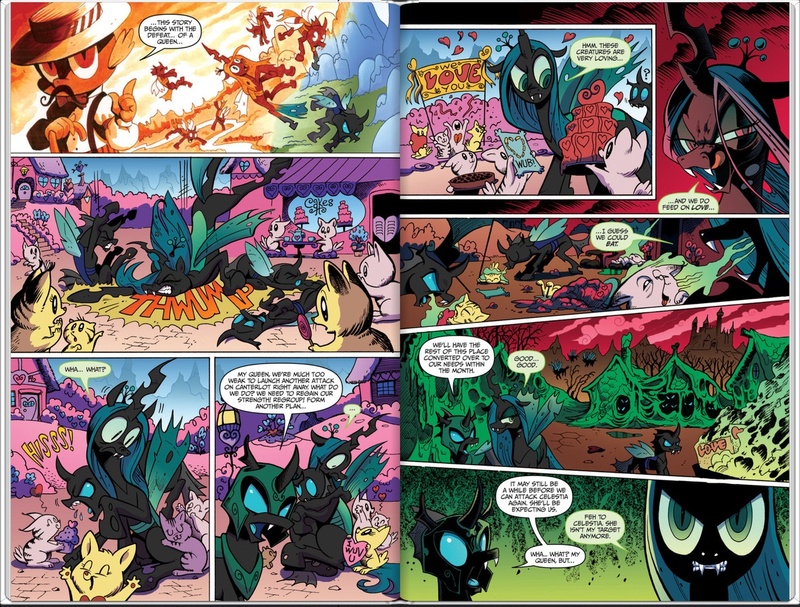 There isn’t space enough on the whole internet, let alone this one page, to demonstrate how good Andy Price is, so just take my word for it. Twins! Always bickering, they are. 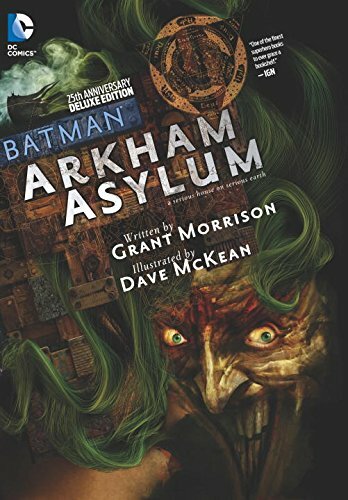 Bear in mind that the series has been going for two or three years now with various artists and writers at the helm, and so the quality of each issue varies – some are things of wonder, others pretty dire – but Price’s name comes as a seal of quality. If it’s got his name on it, you won’t be disappointed. 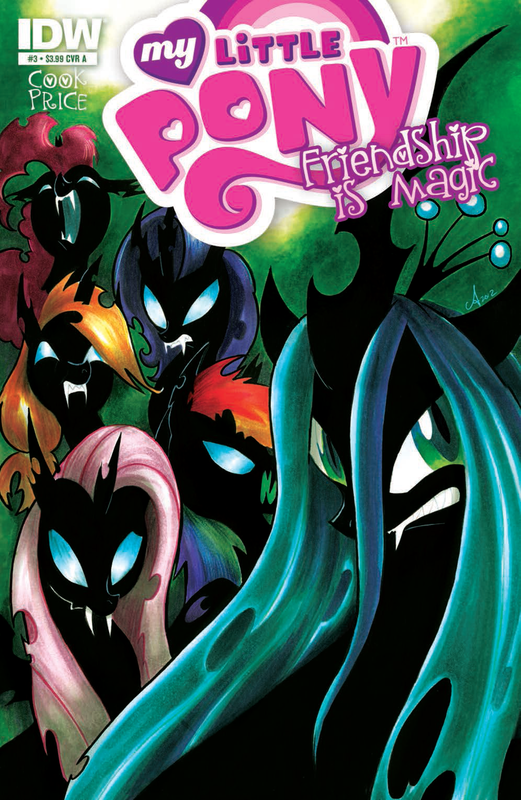 Look for The Return of Queen Chrysalis (#1 ~ #4), Reflections (#17 ~ #20), Root of the Problem (#27 ~ #28) and Princess Luna (Micro Series #10), among others. Well, what are you waiting for…!? Bugger off and get reading! I must admit to being glad to see this comic on the shelves. 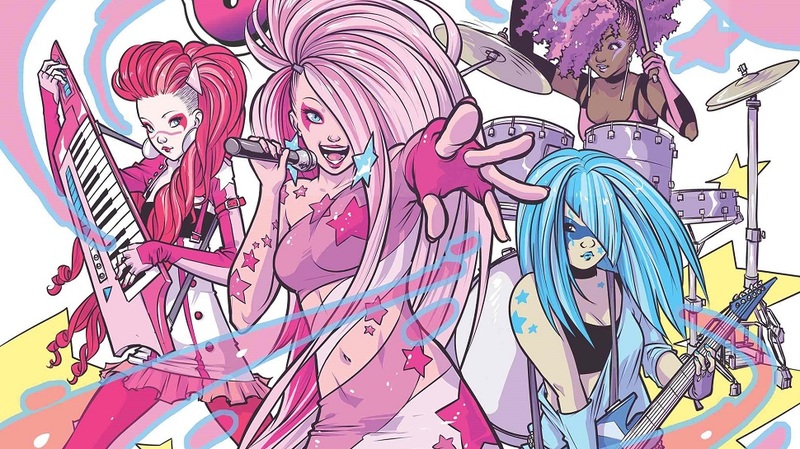 There’s something about Jem’s clean-cut glam rock styling that appeals to me. It’s like KISS but for kids. 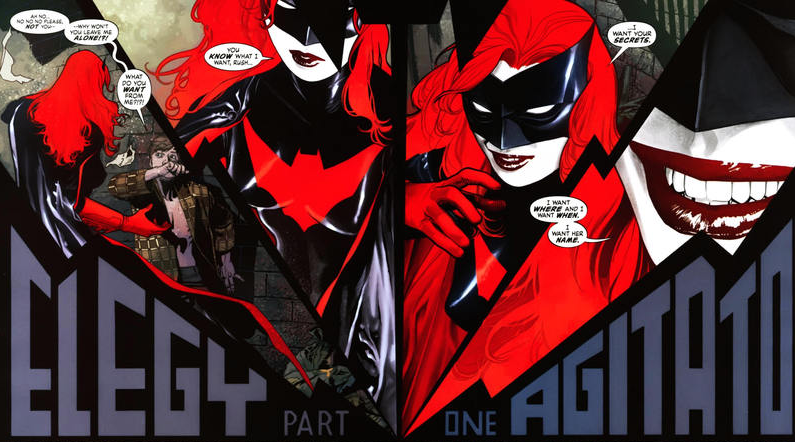 The comic itself is very stylish, coming in about twelve different variants. I got the ‘group’ cover, showing the new Holograms in their entirety. Others show the classic characters or more abstract images. As far as I can figure, all of the covers have a sparkly holographic logo. Pretty sweet! It’s funny how a popular, worldwide, decade-spanning franchise can mean something different to so many people. Take Transformers, for example. We all had the same toys, saw the same cartoons and comics, but each person tends to latch on to a specific medium that for them represents the “real” Transformers. Everything else is compared to it and carefully cross-referenced with a personal canon that only exists in the imagination. It’s almost the exact opposite to something like Star Trek. Some people love the original series, others devoutly followed The Next Generation, but they all represent the same thing; different parts of the same whole. Then again, I have a cousin who refuses to believe that DS9 ever happened. 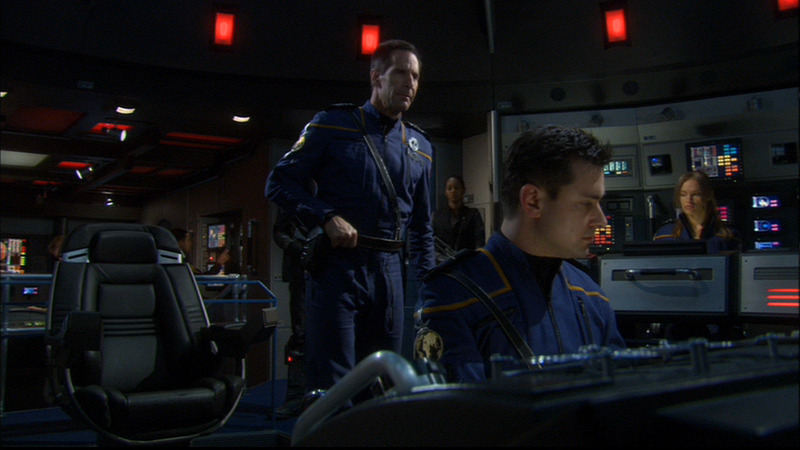 Whereas for me, it all ended with Voyager and I consider the entirety of Star Trek: Enterprise to be a feature-length episode of Quantum Leap. So maybe there’s no escaping it. Also, for those playing along at home, make sure to clearly stamp your Star Trek Bingo cards.